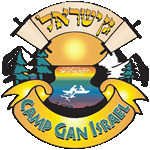 We are offering bus service to and from Camp Gan Izzy for 2019! There will be a bus from Kemp Mill and one from downtown Silver Spring. You can sign up for the bus using our online camp registration system.